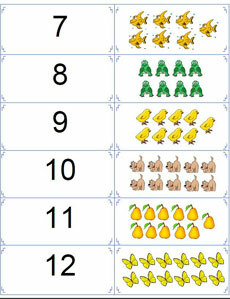 These number flashcards are an excellent tool for learning about the numbers from one to twelve. Children will love the bright colors and counting each figure out loud. Not only do flashcards give a great review of basic lessons in math, phonics or spelling, they also encourage extra “one-on-one” time between you and your child. Prompt your child to “be the teacher” and use the same flashcards to “teach” younger sisters or brothers! Being creative and making learning fun is an important benefit that all the kids will enjoy. There are two sets to choose from. 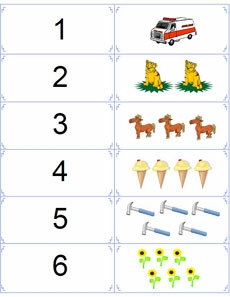 One features the numbers 1-12 along side everyday objects that kids might be familiar with. The second set features cute animals that kids are sure to love. While it doesn't have the numbers 11 or 12, it does introduce the concept of zero, which can be difficult for children to understand. Be sure to see the related lessons at the bottom of this page for more help with understanding numbers. Click the photos to open your flashcards in another tab. Then you can print or save them to your computer. Before you print these out in gray scale...color is stimulating and more interesting to students than simple black and white. I understand the urge to save ink, but the use of color stimulates the brain and may be more effective than printing in b&w. Engage your child's interest while using the flashcards. 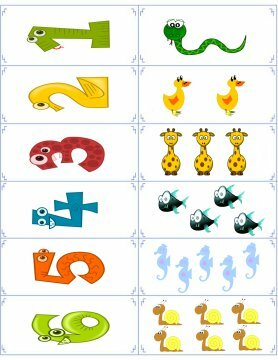 Although your practice focus is to learn and recognize the basic numbers, also ask your child what color and what type of animal (or object) the image is. Where can you find these animals? Use as many opportunities as you can to invite interaction between you and your child. 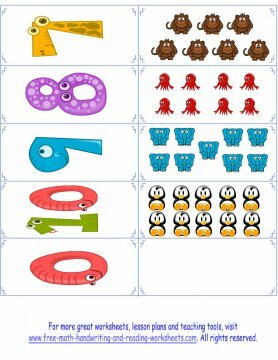 These printable flashcards are free to download as a PDF. They are meant for practice for the numbers 1 through 12. Use the lines to help your child cut the flashcards apart. If you print on regular paper, it is helpful to place an index card between the folds to keep the number from showing through the paper. 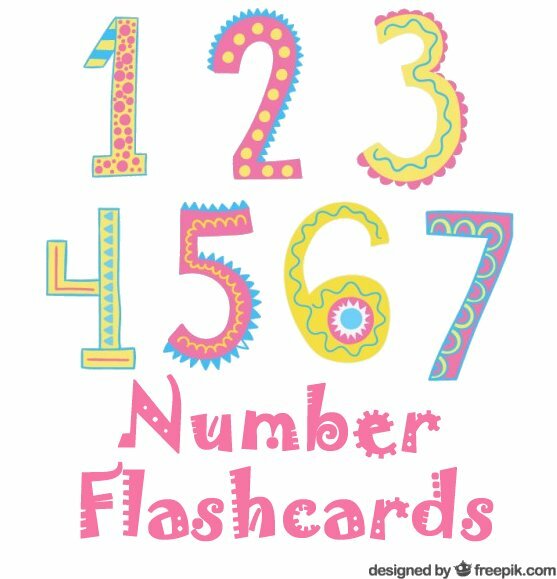 For more help with numbers or to print more flashcards, see the links below.